Brother Multifunction printers provide extraordinary versatility and performance features ideal for a large range of user needs. Brother MFC all-in-ones are available in a variety of designs and configurations that will suit almost any requirement. These MFC printers are affordable and reliable solutions for your home, small office or business. 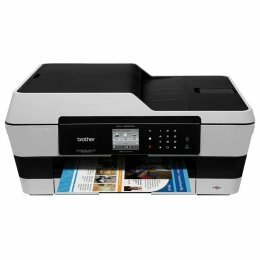 The Brother J6720DW is a 11 x 17 color inkjet multifunction from the Professional Series. With the J6720, You can copy, print, scan and fax in black and white at speeds of up to 35 pages per minute and in color at speeds of up to 27 pages per minute. 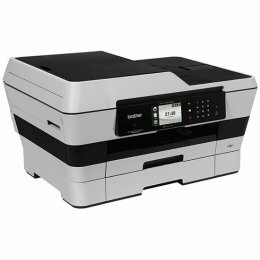 Some great features of the MJCJ6720DW include low cost printing, wireless printing, mobile device printing, touch screen color LCD display and duplex printing capability. The Brother MFC 9130CW is a reliable, speedy Digital Color All-in-One with wireless networking, ideal for your small business. The Brother 9130CW Multifunction includes big business features such as a 3.7 inch color TouchScreen display and wireless networking, in a cost-friendly, compact All-in-One to suit your small business budget and workspace. 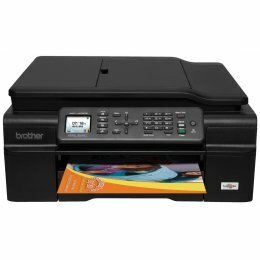 The Brother MFC9130CW delivers high-impact color and crisp black copies and prints at up to 19ppm, in addition to scanning and faxing. The Professional Series MFC-J6910DW is a color, multifunction device that can copy, print, scan and fax up to 11"x17". The MFCJ6910DW features expanded connectivity options that offer mobile device printing and NFC "touch to connect" printing and scanning from a compatible mobile device. Additionally, the MFC J6910DW uses Super High Yield replacement ink cartridges which offer approximately 2,400 pages black and 1,200 pages color. The compact design and easy to navigate control panel makes the Brother MFC 8220 the ideal device for your home office, small-to-medium size workgroup or office. An optional 250 sheet paper tray can be purchased for increasing your paper capacity to 500 sheets on the Brother MFC8220. 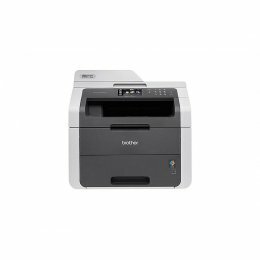 The Brother J6520DW is a color, multifunction machine that copies, prints, scans and faxes with up to 11" x 17" duplex printing. 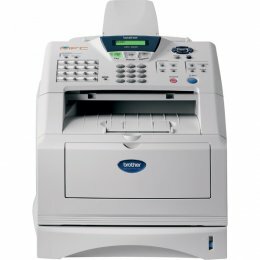 This MFCJ6520DW can copy at up to 35 pages per minute. The Brother J-6520DW features built-in wireless and wired interfaces. The Brother J450DW is an all-in-one color inkjet with easy to set up wireless networking. 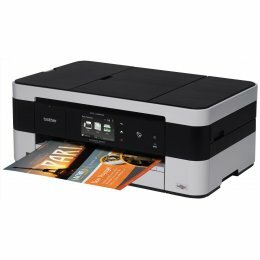 It has print speeds of up to 33 ppm in black and white and 27 ppm in color. The J-450DW will help you save money with features such as duplex printing, Ink Save mode and the four-cartridge ink system. The Brother J5520DW will print at 35 pages per minute in black and white and 27 pages per minute in color. It features a 3.7 inch color touch screen, a USB port and a 35 sheet automatic document feeder. Make use of automatic duplex prints with the J-5520-DW. 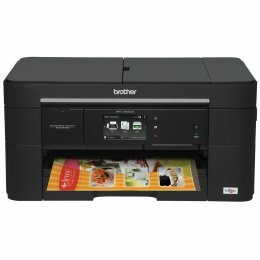 The Brother 4620 is an all in one MFP that will print upto 11" x 17" in color. It has built in Wi-Fi which allows for direct printing and scanning from your mobile device. The J4620DW features a 20 sheet automatic document feeder and duplex printing. Brother all-in-ones can print, copy, scan or fax from one compact machine, enabling you to save time, space and money. Many of the Brother MFC copiers offer features including security functions, wireless connectivity and built-in expandability.